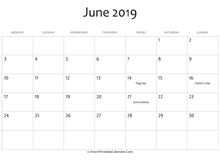 Editable 2019 June Calendar - A blank calendar for june 2019 in horizontal layout. Download, print and use it at home, office or school for free. If you want to download more june calendar templates then check out the list below. Those calendars come with different layout, select one you like then download and print. 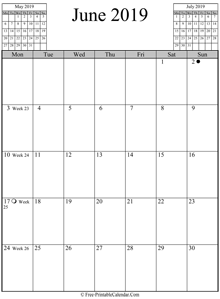 This calendar is free for personal use only and if you think it is useful please link to us. 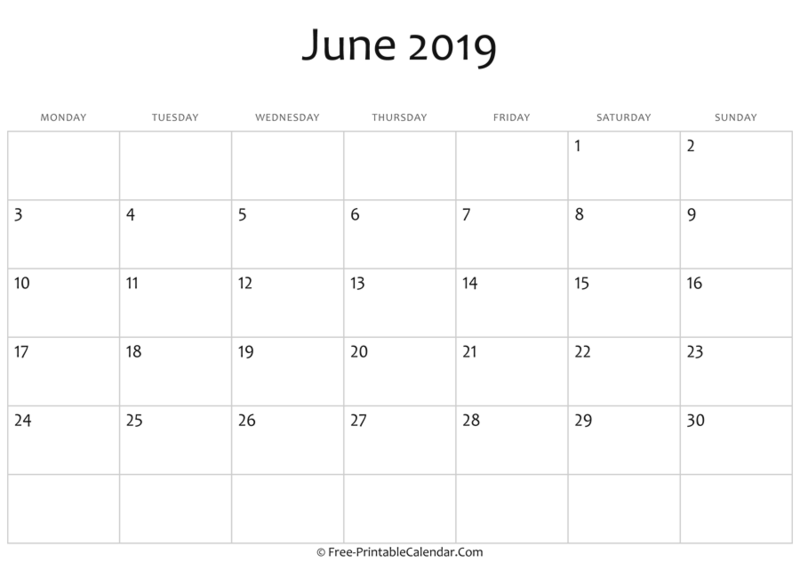 Just copy & paste the following code to your site or blog to share Editable 2019 June Calendar.